These Alphabet worksheets are a great resource for elementary students. Preschool and Kindergarten children will learn their ABC's and letter sounds through fun coloring pages and songs. Older students can improver their reading skills, word recognition, and vocabulary through the various alphabet lessons found below. You can jump right into the lessons by clicking on the pictures below. I'll briefly cover some of the lessons further down and include a few tips on teaching the alphabet to your child. The phonetic alphabet coloring pages feature uppercase letters alongside an object they represent, for example, in the thumb above you see an "A" with an airplane. There are a couple sets of coloring pages. With just a few, common household items, you can create an Alphabet Flip-Book with your child. And, since your child is picking out the photos, he/she will be able to better associate the letter sounds with the pictures that represent them. The alphabet songs feature many versions of the traditional "ABC's" with sing-along songs I found on youtube. If you want to focus on particular letters and sounds, use the vowel and consonant worksheets found at the bottom of this page. For help with writing individual letters, try the tracing worksheets. I've also created printable letters that you can use to practice cutting skills or just color them and use them as decorations in the classroom or at home. Be sure to check out the many alphabet books and alphabet games available. For those of you just starting to teach your child about the Alphabet, I have created alphabet coloring pages, printable letters and phonetic alphabet sheets for you to download and work with. At first, getting your child to understand that the letter symbols stand for a sound can be a bit challenging, so I suggest that you start with the phonetic alphabet worksheets which use words to introduce the letter sounds. Learning letter sounds is one thing, naming them is another. There are numerous letter pages that focus on individual letter names and sounds. The short vowel and consonant lessons are ideal. Teaching the Alphabet to your preschooler should include lots of fun and enjoyable activities together, such as my free coloring worksheets and watching fun videos. It's important to be patient and move slowly. 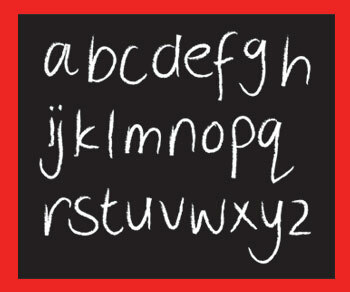 Have your child learn one letter before moving on to the next activity. Reinforcing letter recognition for a preschooler or kindergartener often means repeating earlier lessons.